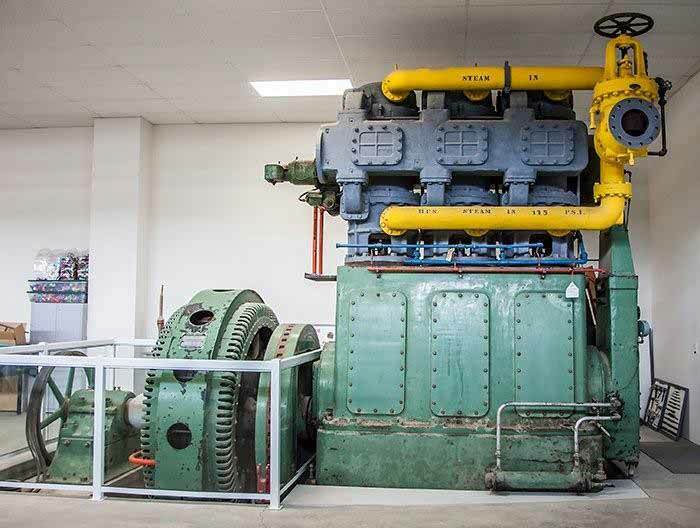 The Skinner Steam Engine drove the GE generator at the Alberta Legislative Assembly building beginning in 1951. 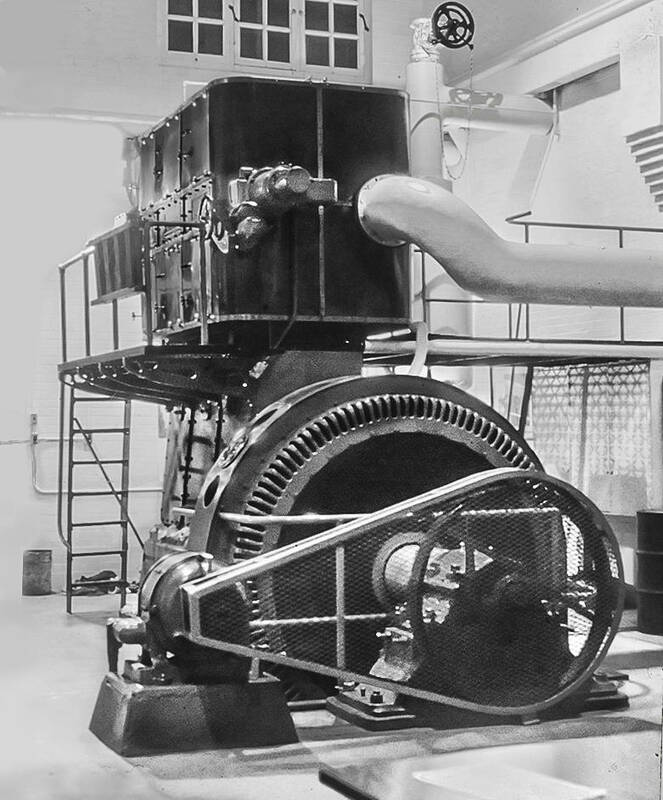 It was a three-cylinder Unaflow Engine that allowed the admission of steam to the top and bottom of the steam cylinder. 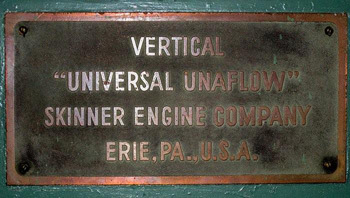 Exhaust was released from the center of the cylinder. 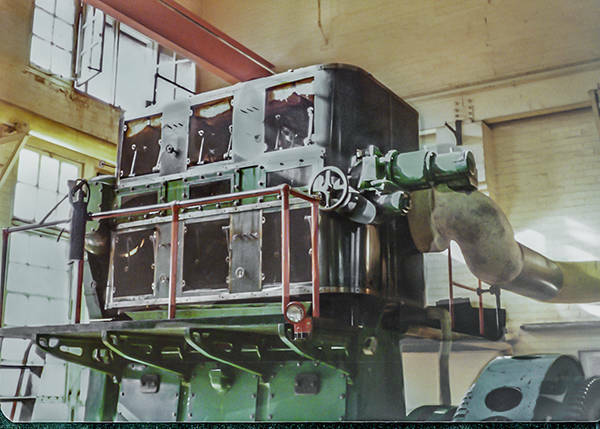 Steam admission was by poppet valves via a camshaft. 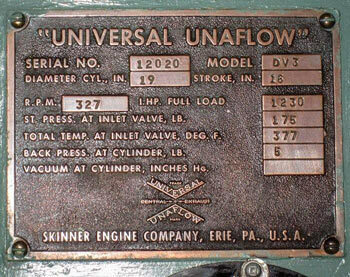 The Skinner Steam Engine was installed in 1951 and continued running until 1996. Also in 1996, it was moved to the grounds of the Leduc West Antique Society.